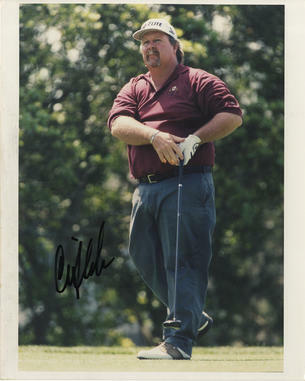 Craig Robert Stadler (born June 2, 1953) is an American professional golfer who has won numerous tournaments at both the PGA Tour and Champions Tour level. Stadler was born in San Diego, California and attended La Jolla High School. He displayed a talent for golf early in life. He won the 1973 U.S. Amateur, while attending the University of Southern California where he was an All-American all four years, first-team his sophomore and junior years; second-team his freshman and senior years. Stadler finished college in 1975 and turned professional in 1976. Stadler won his first two PGA Tour events in 1980, at the Bob Hope Desert Classic and the Greater Greensboro Open. His career year was 1982 when he won four PGA Tour events including The Masters after a playoff with Dan Pohl. Stadler won the B.C. Open in 2003, becoming the first player over age 50 to win a PGA Tour event in 28 years. He won 13 PGA Tour events in all, and played on the 1983 and 1985 Ryder Cup teams. Stadler began playing on the Champions Tour upon becoming eligible in June 2003; he was the leading money winner in his first full year on that tour in 2004.